In calls, the BlackBerry Curve 9320 is a solid performer, with no voice quality or reception issues. What gives the Curve 9320 some extra points however is the Smart dial feature. Indeed that was our preferred way of locating contacts on the handset - you just punch a few keys straight on the homescreen and a list of suggested names is promptly returned. You can then select them with the trackpad to initiate a call. Voice Dial is also available via the Universal Voice Search. 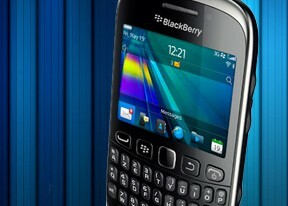 A BlackBerry Internet Service account is mandatory if you want to use email on the Curve 9320. And while we understand the advantages of BIS, it would have been nice to give users some kind of choice. You know - you can go for the security we offer or you can use whatever internet plan you have and live without it. And we shouldn't forget that not every carrier worldwide is offering BIS, which reduces the Curve 9320's reach. Still if you do get a subscription you can check out the nicely organized and easily customizable client, which has deservedly earned its merit over the years. By today's standards, however, it does seem a bit dated when compared to its Android counterpart. The BlackBerry Curve 9320 handles SMS, MMS messages as well. Photos can be resized for sending, emails can be flagged and filtered by request, color and status, while folders can be created, edited and deleted on the device itself. The message editors, which look identical for all types of messages, are pretty simple to use and with a neat interface. There is a counter at the top indicating the remaining characters to 160, and another one showing the number of parts the message will break down into for sending. The latter turns into a data counter if you are creating an MMS or email. Entering recipients is as quick and convenient as it gets. You just start typing and smart-dial kicks in, giving you a list of suggestions. Complete with a convenient QWERTY keyboard, the Curve 9320 is great at its main job - texting. Some visual improvements would've been welcome, but getting the job done is what really matters here. RIM refreshed the Music Player icons when BlackBerry OS 7 was released, but that's basically all they did. The styling is still pretty conservative, while most of the functionality has been there since BlackBerry OS 5. There's quick search of tracks and automatic sorting by artist, album and genre. Custom playlists are also supported. Album art is on the list of included features too, along with equalizer presets and the single track repeat option. Quite naturally, the player can also be minimized to play in the background. You can then go back to it via the task manager or the main menu. While pausing it by hitting the mute button is also possible, what's missing is an indication of the currently playing song on the home screen.